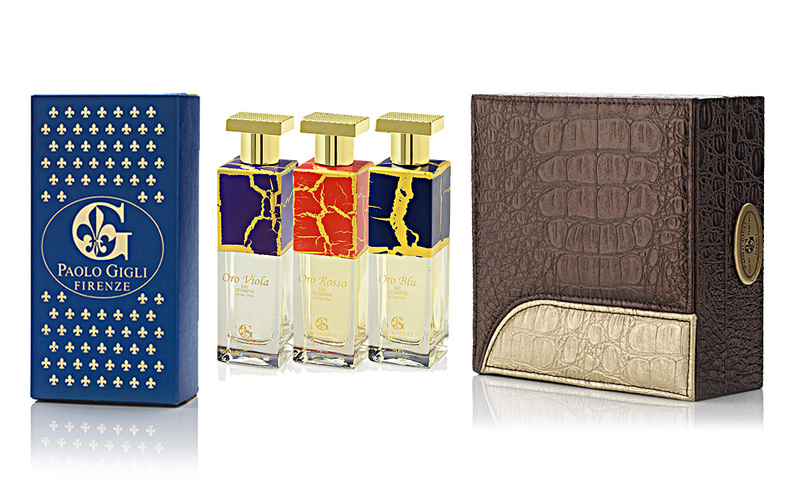 This fragrance is dedicated to the impetuous,irresistible and provocative man. The sweet and slightly sour raspberry and strawberry head notes convey amorous passion, enriched with rose and peach fragrances. 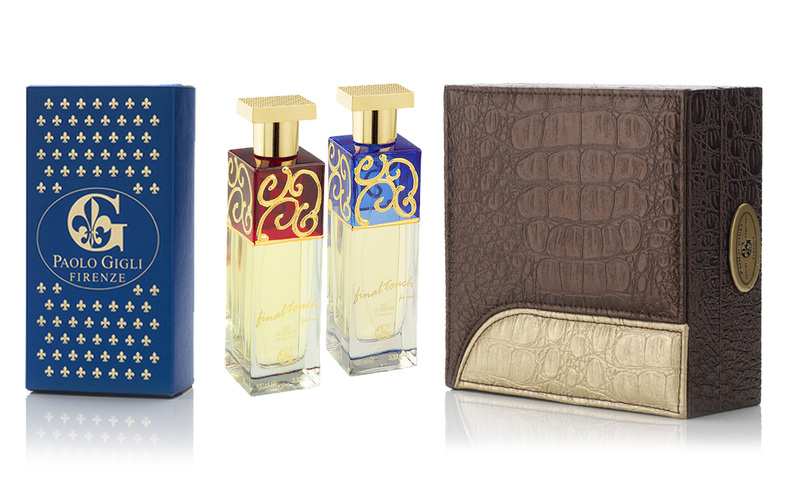 Iris and jasmine heart notes reveal a perfume with provocative, mannish and passionate character. Vanilla and coconut make the soft and alluring fragrance breathe with overwhelming ardour; together with patchouli, moss leaves an irresistible trail wrapping everything up with delicious perfume. This fragrance is dedicated to the sensitive man, at the same time strong and refined: a romantic man in love with traditional values, in harmony with himself, and enjoying his condition and his world. 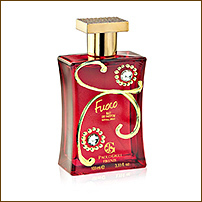 The warmth and sensuality of peach pulp intertwine with the strawberry and lemon aroma, in full synesthesia. 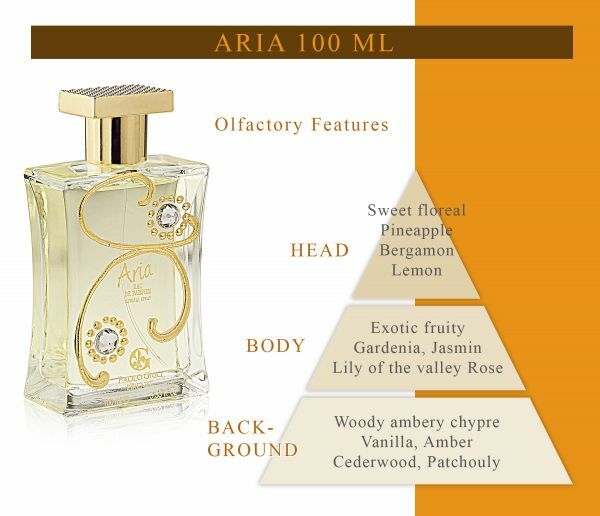 With its strong and bitter taste, cedar makes up the heart notes of the fragrance, softening the sweet and reassuring iris. 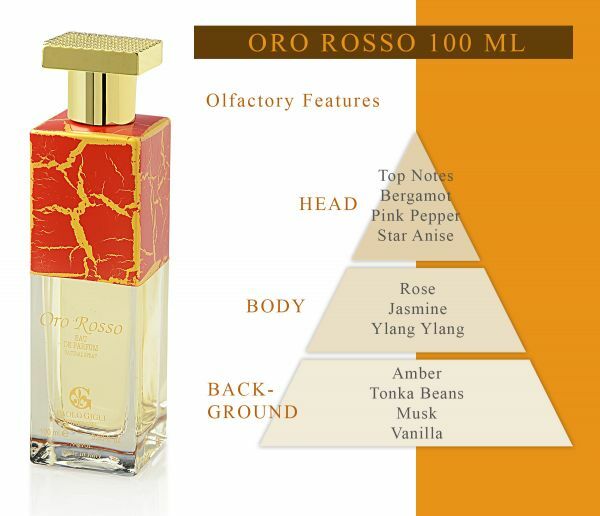 The complex dance of scents gradually develops over the soft heart of amber and rose. 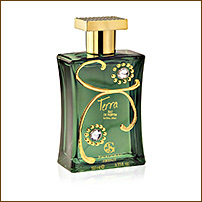 This irresistible fragrance with exotic perfume leaves an alluring wake recalling the faraway perfume of the fleshy and tasty coconut, and of precious vanilla. A combination of lemon and tangerine olfactory notes portrays the Mediterranean man, the irresistible icon of fascination and tenderness. 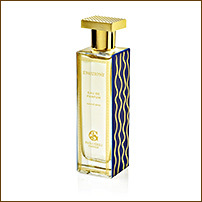 The audacious energy of coconut, peach and passion fruit notes combines with aromatic vanilla, tonka beans and amber fragrances. 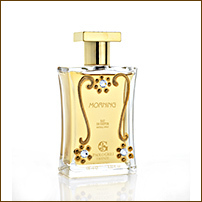 Its aroma arouses the most secret emotions, sending a shiver down the spine. The bottle is the expression of rigorous elegance. The golden grooves are gentler if you touch them. The broad, pure gold hood frames the whole thing with style. Passion guides man's choices in the same way as the evening light inspires lovers. 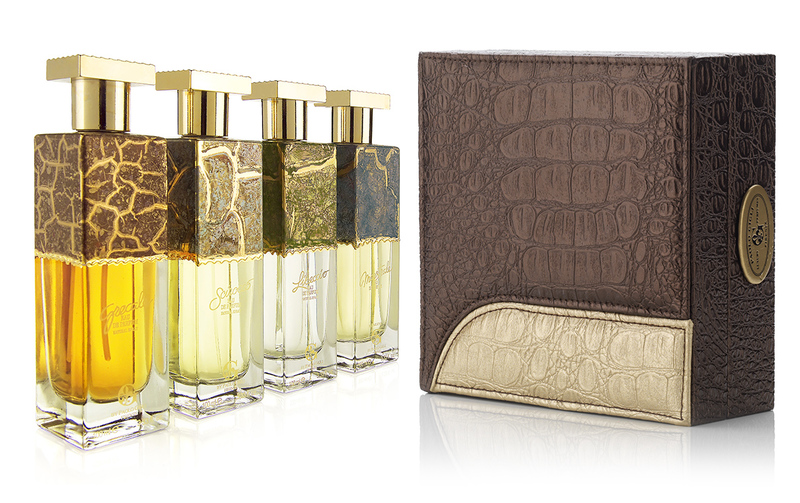 The intense moss head note is the ground for dry wooden notes, intertwined with sweet vanilla fragrances. The woody heart of the fragrance is pure freshness, Mediterranean breeze carrying moss aromas, an evocative memory of forest fragrances. Air is synonymous with breathing, intangibility, energy. 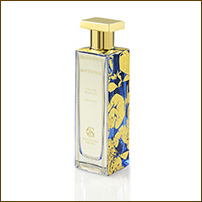 Hence this fragrance is fresh and floral, characterised by notes of gardenians, jasmin, lilies and roses, created for young spirits in touch with their own sensuality, represented by the pureness and transparency of the bottle. The gold decorations embrace two cystal shining like stars. 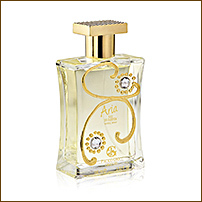 The airiness of white musk and patchouli enable those who wear this fragrance to take flight in endless dreams. 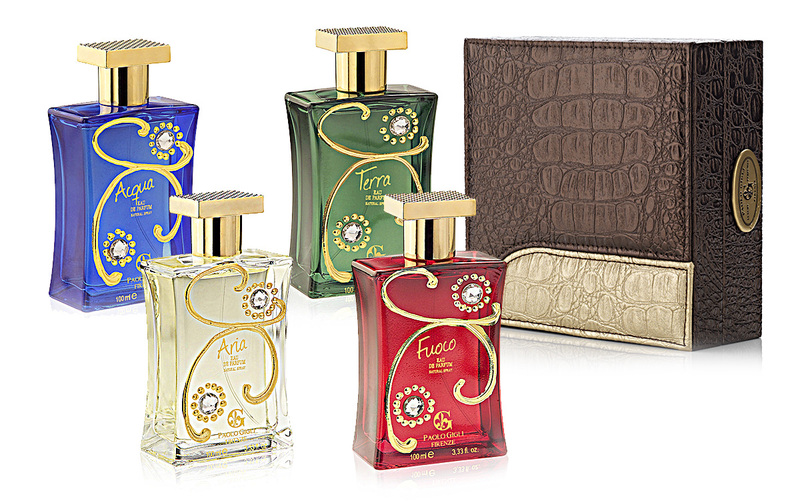 This is the fragrance that represents feelings and passion. the heady notes of bergamot, apple and lavender instil perfume rich in contrasts. In fact the sparkling notes of the heart of pink pepper and rosemary clash with the sweet vanilla tones, then meld toghether against a background of cedar and sandalwood. 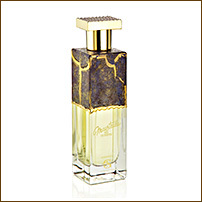 Those who choose this fragrance love its sultry, passionate, and assertive nature. 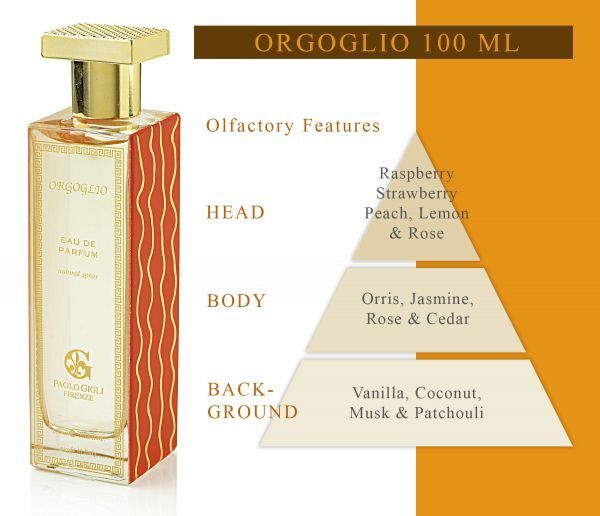 Earth is the elemenet governed by nature herself, likewise this fragrance, redolent with the heady notes of strawberry, coconut, lemon and milk. 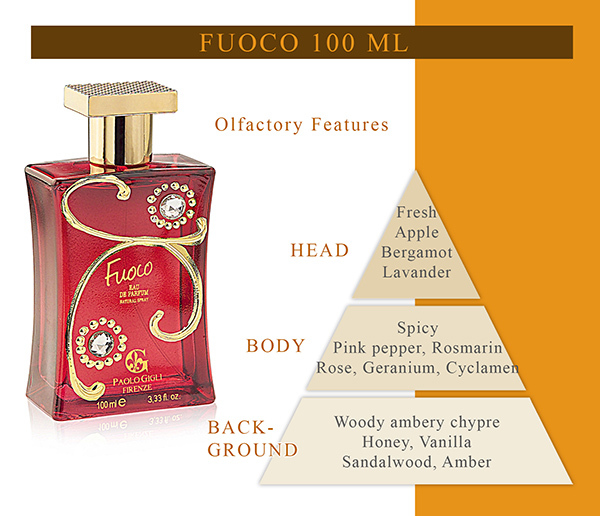 The background notes are characterised by woody chords: white musk with underlying tones of sandalwood and cedar. 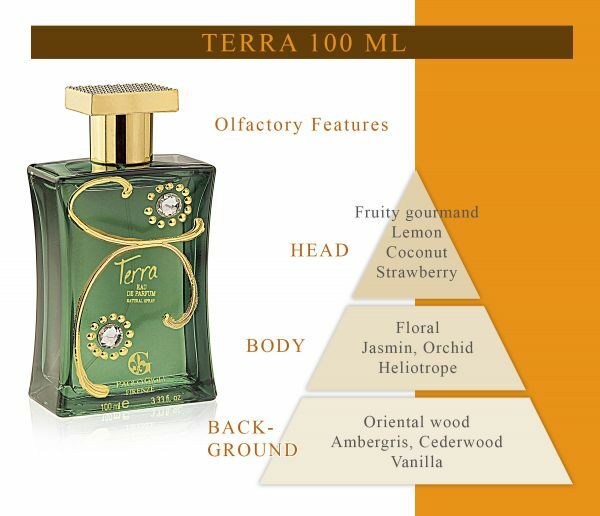 This original fragrance has been created for those in harmony with themselves and nature, who view the earth as thought covered with a green mantel, just like the bottle containing the perfume. 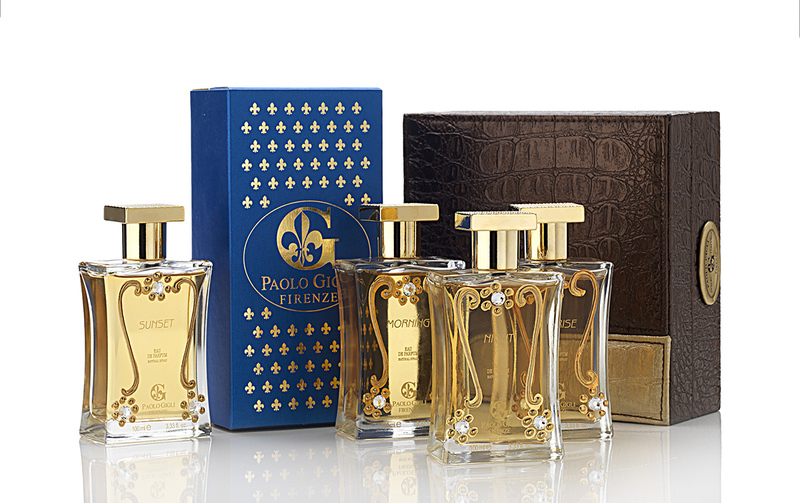 This fragrance is the most sensual one in this perfume range, for both the composition of its olfactory notes and the colour of its bottle. The heart notes - rose and jasmine - actually characterise this fragrance by celebrating the seductive power of the perfume in a vanilla aura. Libeccio, a precious cocktail of flowery notes of cyclamen, jasmine, rose and lilac, which evoke past springs, where eucalyptus and curled mint seep with their penetrating and refreshing nature. In the heart of the composition is iris, messenger of the gods, which stands out and around in the fruity notes of white peach and raspberry. 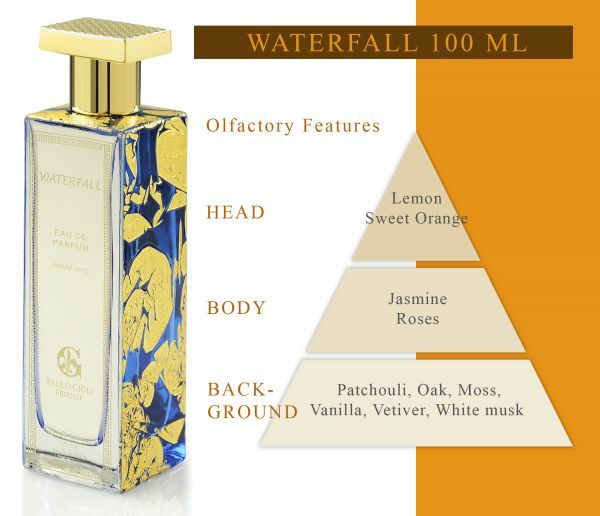 Then unexpectedly we have the exotic fragrance of cedarwood and sandalwood, fragrances of spirituality and balance, the sweet notes of vanilla and the intriguing persistence and elegance of ambergris, women's aphrodisiac fragrance par excellence. 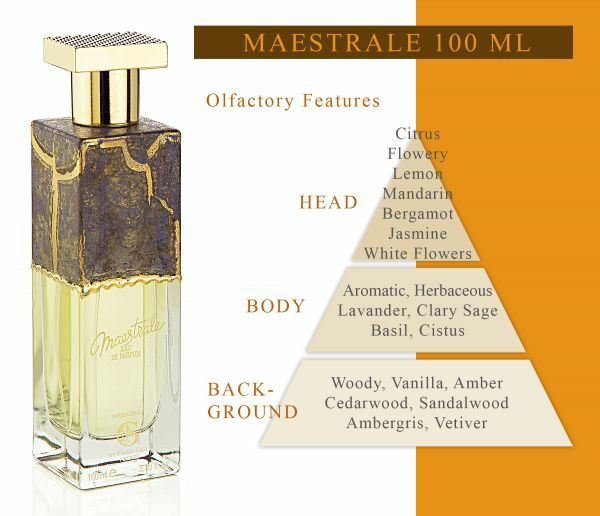 Maestrale, a flowery and fruity impact fragrance like Sicily citrus fruits; strong and heady thanks to the sensual notes of jasmine and white rose. Aromatic, with the complex, sweet and herbaceous fragrance of clary sage and lavender, it perfectly embodies the harmony between body and spirit. 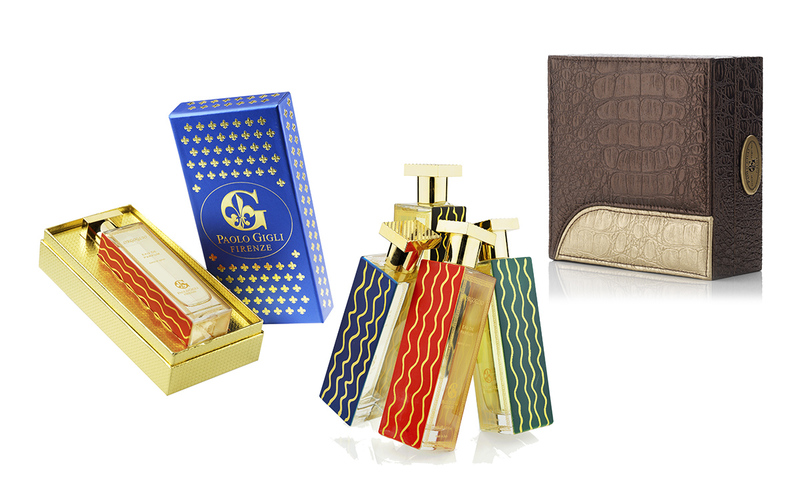 The fragrance evokes so many emotions when the exotic warmth, which radiates from amber, combines with vanilla and jolts of sandalwood and cedarwood. This fragrance was developed for an active, energetic, busy man who draws his strength from his relationships with others, from nature and from sunlight that gives him his great determination. 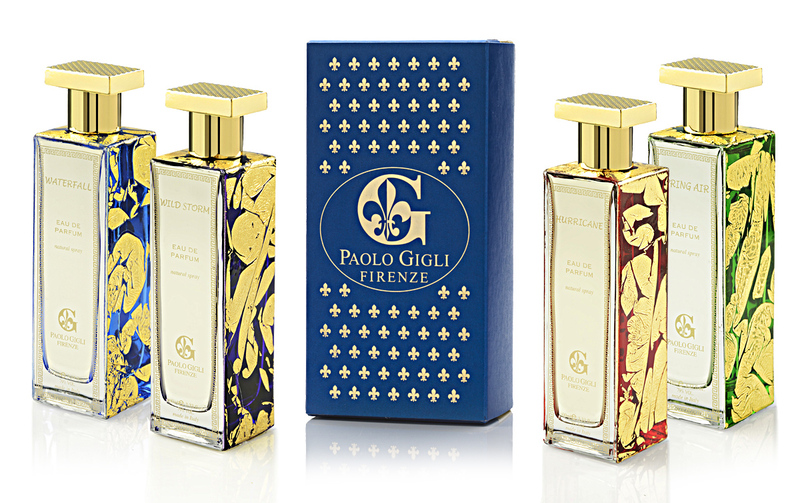 The impact of the apple and lemon imprint on the heart notes evoke the challenge that man accepts every day, while the intensity of rose and lily explain the goals and ideals he fights for. 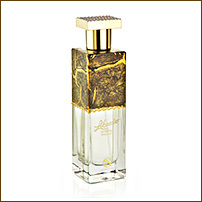 The base note, of agar wood and sandalwood reveal the intimate sensuality of the day that knows how to wait for the evening's sweet embrace. Vanilla – Its natural scent obtained from the pod through a long and meticulous process, gives life to fragrances with a beautiful personality.